Join Dr Terry Houston for an entertaining talk about native bees in our bushland. Dr Houston is Research Associate, Dept. of Terrestrial Zoology (Entomology) Western Australian Museum, 49 Kew St, Welshpool. Inhabiting the Perth Region is a substantial native bee fauna – around 80 species – which is highly dependent on the native flora. 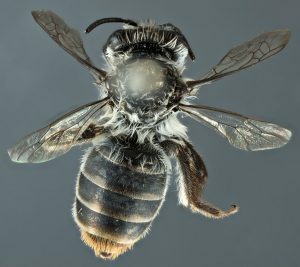 New bee species have been coming to light year after year and many await naming and description. The natural history of relatively few bee species has been studied in any detail, but some fascinating behaviours are found among those that have. An example is the ‘megamouth bee’ (pictured above) that was discovered in Forrestdale several years ago. The rapid destruction of bushlands in the region means that some species are becoming scarce and, without adequate conservation of the diverse vegetation systems of the region, some are at risk of going extinct. 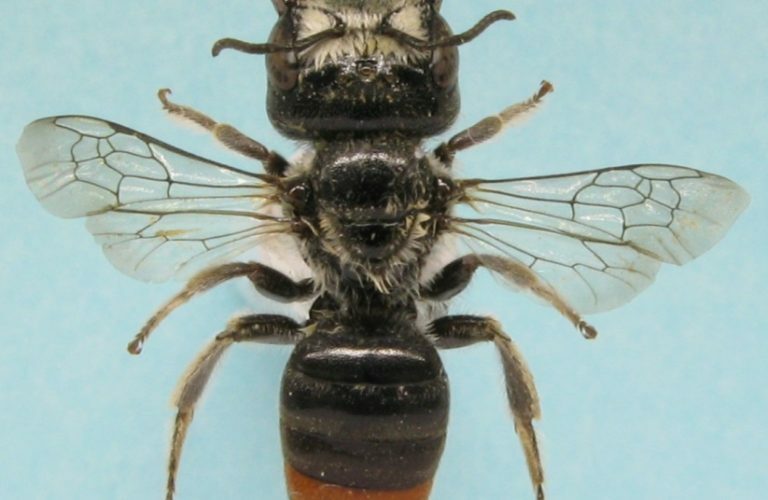 One specimen of a species already presumed to be extinct, Douglas’s Broad-headed Bee Hesperocolletes douglasi (pictured below), was collected in Banksia woodland on Perth’s northern outskirts in 2015 by Juliana Pille Arnold, a PhD student at the University of WA and recently made headlines in the local news. This rediscovery and other finds of special interest will be detailed in this presentation to illustrate some of the joys and frustrations of trying to document the biology of native bees. Dr Houston is also the author of A Guide to Native Bees of Australia, in which he discusses the estimated 2000 species of Australian bees.